Summary: There’s an institutional drive for growth, just like that in biological entities. Sometimes it become cancerous, inimical to the overall organism. So it is with our mad profitless empire — which makes previous empires (eg, Spain, British) look like works of genius. Here Nick Turse looks at the latest expansion, taking US forces — financed with borrowed money — into Africa. The tyrannical juntas there need our support! Originally published at TomDispatch, 12 July 2012. Here’s an odd question: Is it possible that the U.S. military is present in more countries and more places now than at the height of the Cold War? It’s true that the U.S. is reducing its forces and giant bases in Europe and that its troops are out of Iraq (except for that huge, militarized embassy in Baghdad). On the other hand, there’s that massive ground, air, and naval build-up in the Persian Gulf, the Obama administration’s widely publicized “pivot” to Asia (including troops and ships), those new drone bases in the eastern Indian Ocean region, some movement back into Latin America (including a new base in Chile), and don’t forget Africa, where less than a decade ago, the U.S. had almost no military presence at all. 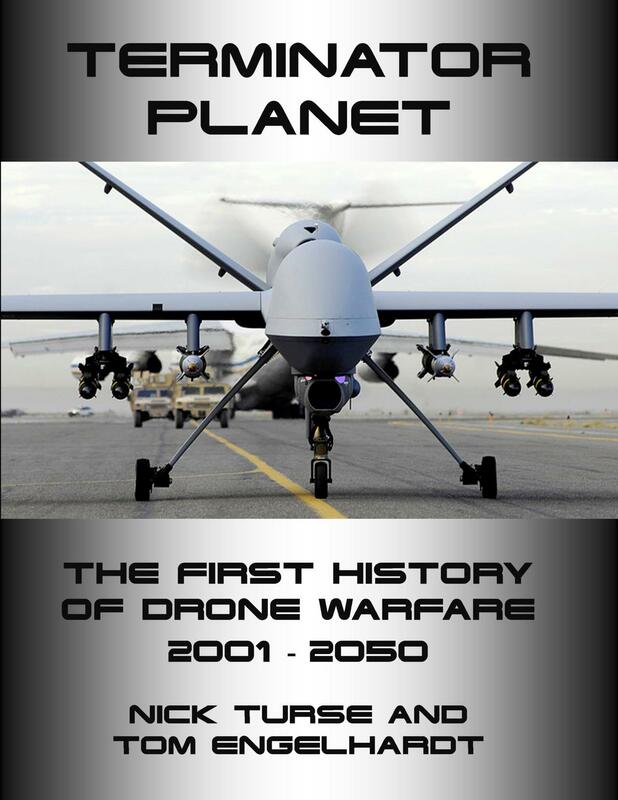 Now, as TomDispatch Associate Editor Nick Turse writes in the latest in his “changing face of empire” series, U.S. special operations forces, regular troops, private contractors, and drones are spreading across the continent with remarkable (if little noticed) rapidity. Putting together the pieces on Africa isn’t easy. For instance, only the other day it was revealed that three U.S. Army commandos in a Toyota Land Cruiser had skidded off a bridge in Mali in April. They died, all three, along with three women identified as “Moroccan prostitutes.” This is how we know that U.S. special operations forces were operating in chaotic, previously democratic Mali after a coup by a U.S.-trained captain accelerated the unraveling of the country, leading more recently to its virtual dismemberment by Tuareg rebels and Islamist insurgents. Consider this a sample of what Nick Turse calls the U.S. military’s “scramble for Africa” in a seamy, secretive nutshell. So here’s another question: Who decided in 2007 that a U.S. Africa Command should be set up to begin a process of turning that continent into a web of U.S. bases and other operations? Who decided that every Islamist rebel group in Africa, no matter how local or locally focused, was a threat to the U.S., calling for a military response? Certainly not the American people, who know nothing about this, who were never asked if expanding the U.S. global military mission to Africa was something they favored, who never heard the slightest debate, or even a single peep from Washington on the subject. See the 26 July TomDispatch for a response by Colonel Tom Davis, director of the U.S. Africa Command Office of Public Affairs. And a rebuttal by Nick Turse. It’s quite enlightening. Also listen to Timothy MacBain’s latest Tomcast audio interview in which he discusses the Pentagon’s shadowy, but fast-expanding mission in Africa: click here or download it to your iPod here. For all posts about this see the FM Reference Page America’s Empire. Previous Post Imagining the future. Here are my guesses. Post yours as well. The current unrest in Mali is the direct and proximate result of the overthrow of Quadaffi. The Tuaregs in Mali’s north have longstanding grievances against its government, which has been dominated by ethnically distinct southerners. Quadaffi, who generally supported the Tuaregs, hired many as mercenaries, where they were fully equipped and trained as a fighting force Following his overthrow, this January, his erstwhile Tuareg mercenaries returned to Mali to challenge its ragtag army. Malli’s army fared poorly; so it staged a coup. In the chaos following the coup, the Tuaregs captured Timbuktu as well as northern Mali’s two other major cities. Not only Mali but neighboring countries are suffering a severe drought and a plague of locusts. Tuaregs inhabit these other countries as well, where they are likewise alienated. For at least a decade Latin American drug cartels have smuggled drugs to Europe through West Africa, during which they have cooperated with Tuaregs, who have smuggled across the Sahara for centuries, as well as various Al Qada elements found there. Algeria’s government is dominated by its secret service, the DRS, which like Pakistan’s ISI, has mysterious motives. Meanwhile, of course, despite its recent elections, Libya itself has deteriorated in to a feuding mess. All of this in return for the jolly good feeling of getting rid of Quadaffi. The above post from the past explains a lot. But one also can’t help but think about the money. 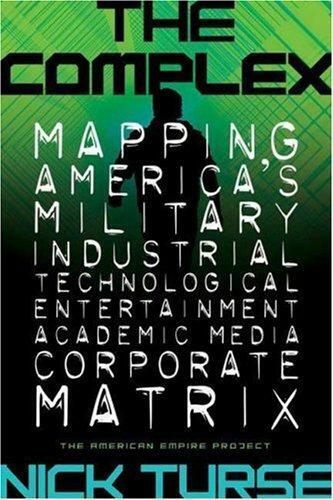 Military intervention to control natural resources as a business model for private corporations. Externalize the military costs to the taxpayers, keep the profits. At least the British East India Company for the most part paid for its own private army and navy. In any case, it’s good for a contemporary nation to understand who and what it’s emulating. Preempting the Chinese commercial operations in Africa may have something to do with it. The 21st C. equivalent of “Anglo-Dutch” wars to follow? Questions: when an American soldier dies in Africa, for which American ideal has he lost his life? Will professional soldiers used this way someday come to want more than just pay and benefits? Doesn’t an all volunteer military make such deployments easier? Cabinet Wars run by a republic? Isn’t congress required to approve and fund such deployments? Why don’t Americans interest themselves in this and why aren’t their elected representatives talking about it? Taking all this in, and drawing on that poet of history, Herr Spengler, (which I’m always hesitant to do) a good guess is that America is already in the post republican era of the Principate. That estimate would, after all, explain much of this. “The United States has begun training elite anti-drugs police squads in Ghana, using techniques previously deployed in Afghanistan, as it seeks to combat rising drugs flows through Africa to Europe, reports the Daily Telegraph July 23, 2012. Nigeria and Kenya are amongst the most corrupt governments in the world, with indigenous groups ( the Mungiki and Boko Haram, respectively ). By West African standards, Ghana is relatively well governed, but its president just dies of cancer and it does have some history with the drug smuggling trade. This post considers reports from the French press that Qatar has been funding armed groups in northern Mali in light of Algerian press coverage of the story and uncertainties in the region and strong claims. This post is a follow up on a previous posting addressing mainly Algerian press reporting on supposed Qatari support for militant movements in northern Mali (‘RE: Canard Enchaîné, Qatar in northern Mali and Algeria‘). It particularly looks at the involvement of the Qatar Red Crescent in this context, which was taken by some observers as evidence (or non-evidence) of supposed Qatari ‘involvement’ in the conflict. This blogger viewed this as part of Algerian propaganda on the conflict mixed with natural paranoia in Malian circles over the role of powerful external actors in the conflict. Similar reports and suspicion about the presence of the Algerian Red Crescent appear to have fit into a similar narrative, especially for those supportive of the MNLA which has put out a large good deal of messaging accusing Algeria of undermining its activities or of supporting the Islamist terrorist and rebel groups in the region. There does not appear to be support for the view that Qatar has sponsored all or some of the main rebel and terrorist groups in northern Mali; and while Algerian involvement in the conflict behind the scenes or via established links to various elements in the region is probable it is unlikely that it is using humanitarian groups as agents of influence. In both cases, though many scenarios are possible and there is no reason to discount such possibilities. Thanks for posting this interesting and valuable information. The conclusion I draw is that that these are complexities with which we don’t have to deal. Complexities with which we’re ill-equiped to deal. Complexities with which it would be madness for us to involve ourselves in.